If you’re looking for an experienced PR and communications professional to enhance and protect your image, get in touch! I can create and manage strategies, events and campaigns and I handle negative publicity. A former business journalist with more than 10 years in PR and a member of the Chartered Institute of Public Relations (CIPR), I’m used by private, public and third sector organisations to develop impactful PR to achieve their objectives. Incorporating digital as well as traditional media, I use a toolbox to analyse and evaluate the performance of content to shape and execute strategy. 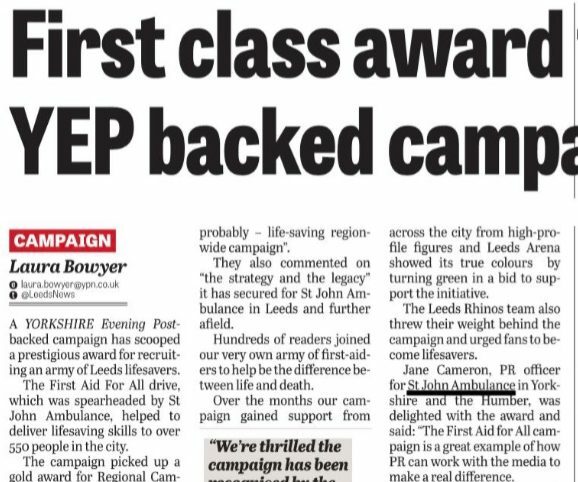 Most recently, I led a multi-media campaign to raise the profile of first aid for St John Ambulance, which was awarded Regional Campaign of the Year by the CIPR. 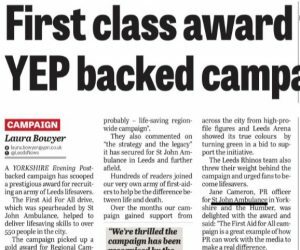 I was also on the team that won the CIPR’s Best Healthcare award for the charity’s successful Chokeables video campaign. Please also see Digital Media. 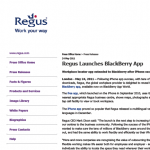 This release on the launch of a Blackberry App by office space provider Regus was written for international distribution. 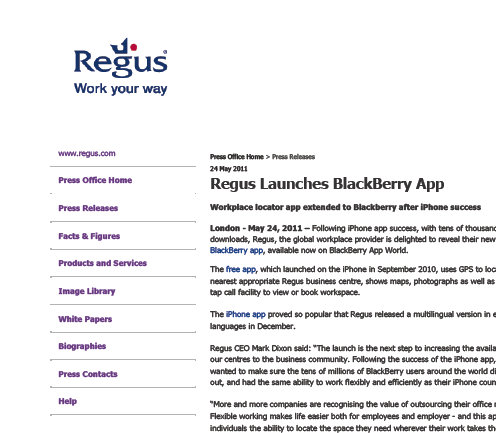 I’ve also prepared by-lined features for this global organisation on topics including virtual offices, telecommuting and the value of face-to-face networking.